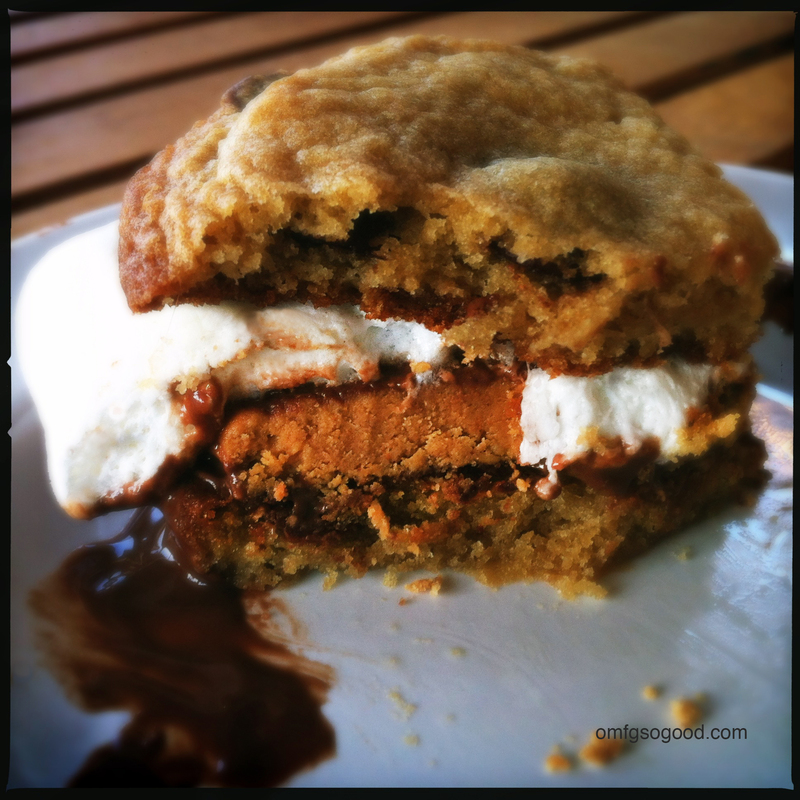 chocolate chip cookie peanut butter cup s’mores | omfg. so good. Here we are, five days after Halloween and I have three giant bowls of candy stashed on top of the refrigerator… giving me the stink eye every time I walk into the kitchen. You would think I would learn that literally not one trick-or-treater is going to come to our house because we live at the end of a cul-de-sac and all of our neighbors go on lock-down at 5:00 on Halloween every year. So, here I am stuck with a lifetime supply (okay, maybe just a month’s worth) of snack size Kit-Kat Bars and… Peanut Butter Cups. 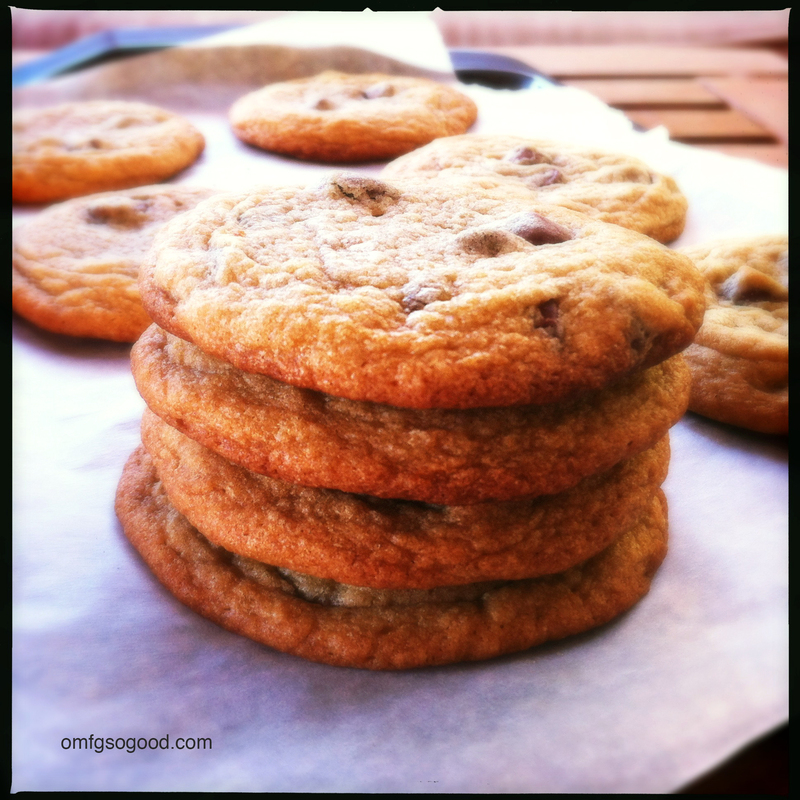 Which happen to be the perfect shape and size to sandwich between two chewy, warm chocolate chip cookies. Throw in a few marshmallows and you’ve got yourself one heck of a treat. Preheat oven to 350 degrees. Line a sheet pan with parchment paper and set aside. In a medium mixing bowl, whisk together flour, baking soda and salt and set aside. In a separate bowl, mix butter and both sugars until fluffy. Add the vanilla and eggs and continue mixing until well blended. 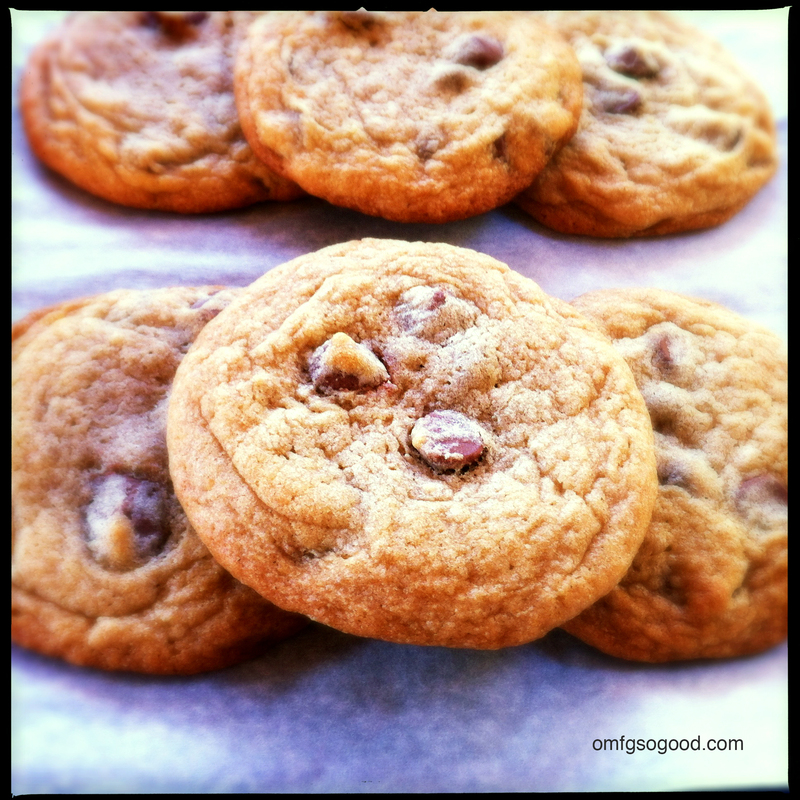 Slowly add in the dry ingredients and mix until combined then add in the chocolate chips and gently stir. Drop tablespoons of dough onto the prepared baking sheet (leave around 2″ between each) and bake in the preheated oven for 11 minutes. Let them cool on the pan for a few minutes then transfer to wire racks. Now, these are delicious on their own. Don’t get me wrong. But the goal here is to use up some of the evil Peanut Butter Cups lingering on top of the fridge. 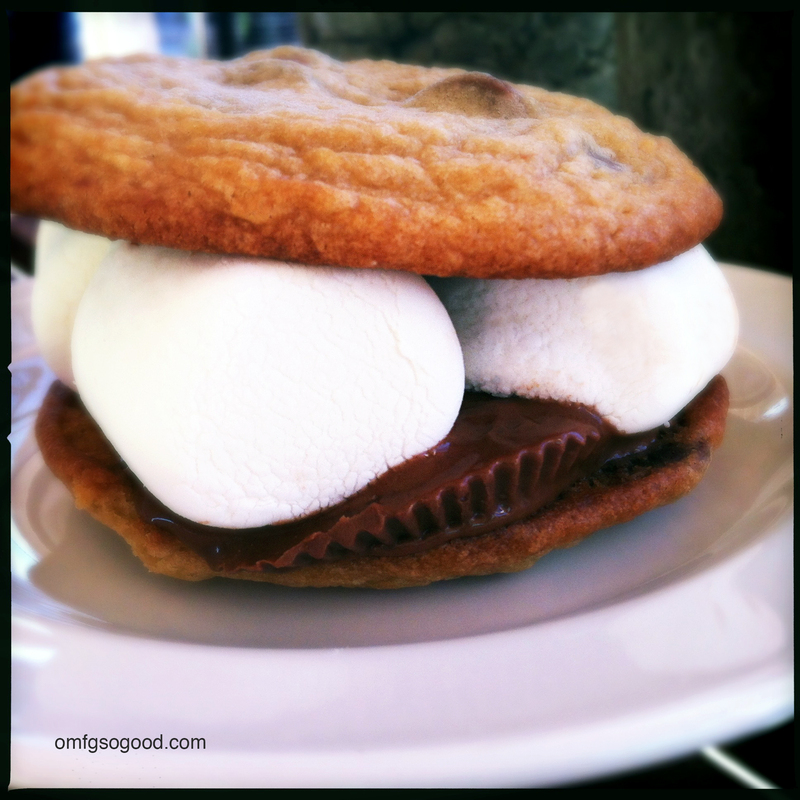 So, grab two of the warm cookies, a peanut butter cup and a few large marshmallows then sandwich it all together. And… this might be my new favorite use for ‘left overs.’ Dig it.